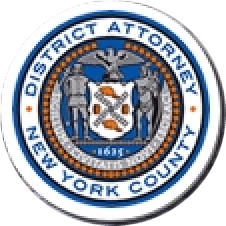 The Manhattan District Attorney’s Elder Abuse Unit includes 20 specially-trained Assistant District Attorneys assigned to handle elder abuse cases, in addition to their regular work load. The Elder Abuse Unit investigates and prosecutes approximately 700 elder abuse cases annually, including the investigation and prosecution of physical abuse, domestic violence, financial exploitation and neglect perpetrated against older adults. Many victims of elder abuse are vulnerable due to dementia, such as Alzheimer’s disease. Working closely with the New York Police Department, other city agencies, and non-profits like Citymeals-on-Wheels, the Manhattan District Attorney’s Office regularly seeks ways to improve older crime victims’ quality of life while providing guidance and assistance as they navigate their way through the criminal justice system.